We can offer curtainsiders or a flatbed trailer with a Moffett or Manitou. 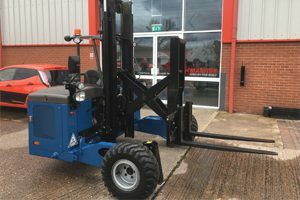 We have found that many customers don’t have the loading or unloading facilities which means they have to hire in a forklift at a great cost to them. Be it a building site, farm or garden centre we can deliver and unload the vehicle ourselves thus making the whole process a lot easier. What is a Moffett or Manitou? 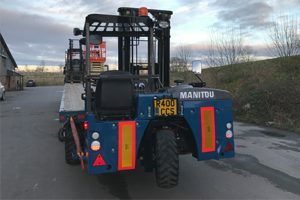 These are demountable forklifts which travel with the vehicle. 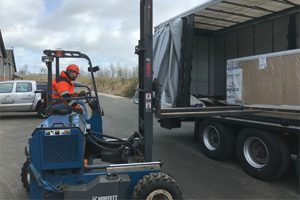 Our drivers are fully trained and will unload the trailer and place the goods exactly where you want using the forklift. Please see photos.